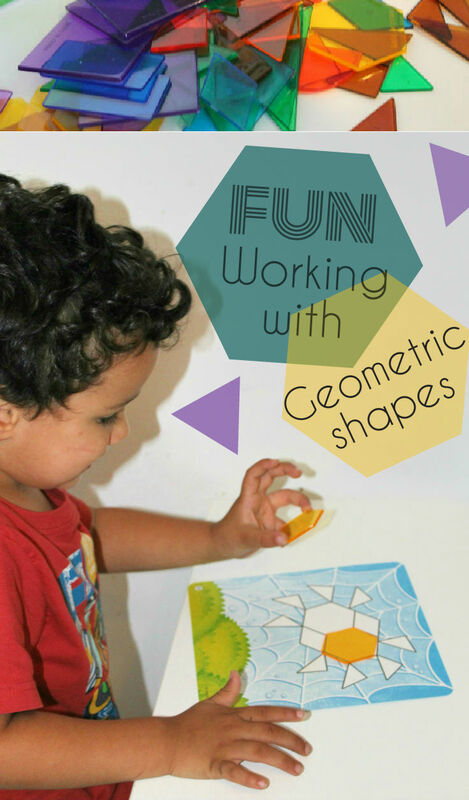 We’ve been having fun with geometric shapes with the new Shapes Don’t Bug Me set from Learning Resources. All of the boys are interested in Maths. Mr Z (6) has been for a long time and the younger boys are just starting to develop more of an interest in this. 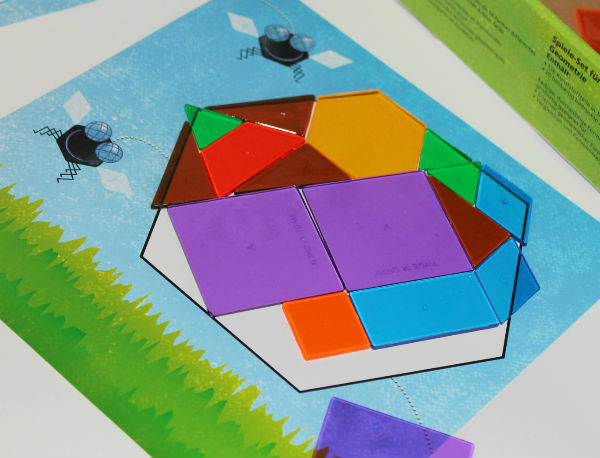 I love the variety of the resources available from Learning Resources, there is much more to maths than just numbers and counting and this set is a great way to introduce geometry in a fun way. And you get plenty of each one which adds up to lots and lots of shapes! The translucent material means that they are perfect on our DIY mini light table as well as on the cards provided. 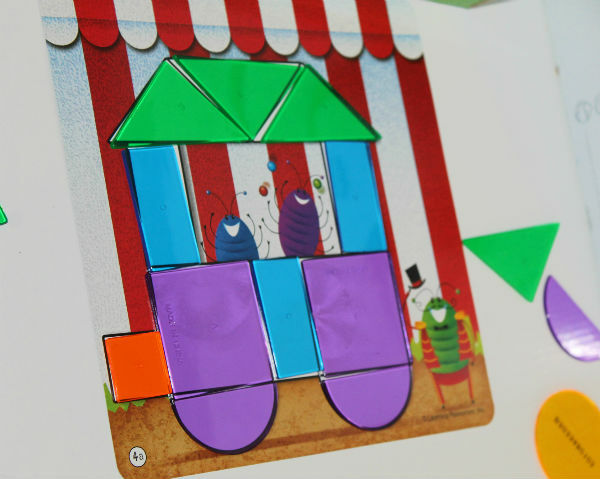 The set has 20 double sided cards, so 40 activities in total and they vary in difficulty which is perfect when working with siblings of different ages, or when working with a class that has varying abilities in it. 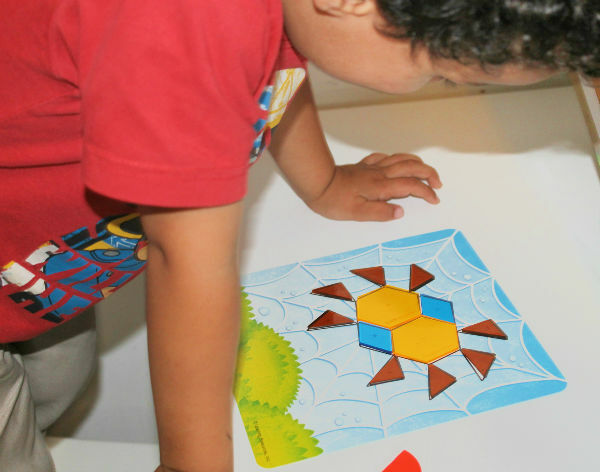 It also means that you can start children off on the easier ones and then gradually they can work their way up as they master the skills involved. This is one of the slightly easier ones which Mr T was able to complete by himself. And this rocket one was a little more challenging with some smaller shapes included. Mr R is really fascinated by spiders at the moment so this design was his favourite. There is a good variety available amongst the cards. 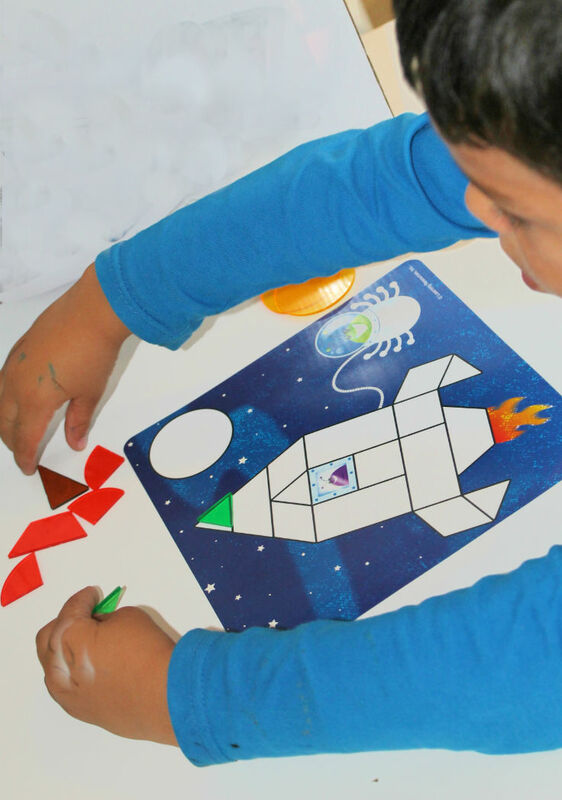 Because the shapes are translucent, the children can easily check whether they have lined them up properly on top of their picture or if they have made a mistake. 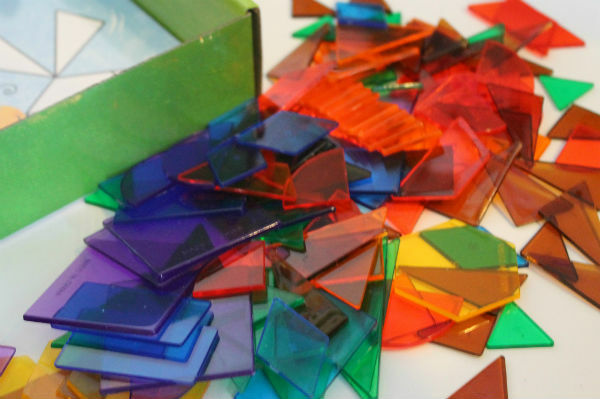 While completing the cards, this activity works on recognising the shapes and colours but also on problem solving skills and recognising how shapes can combine together to form bigger shapes. This is a really versatile set. 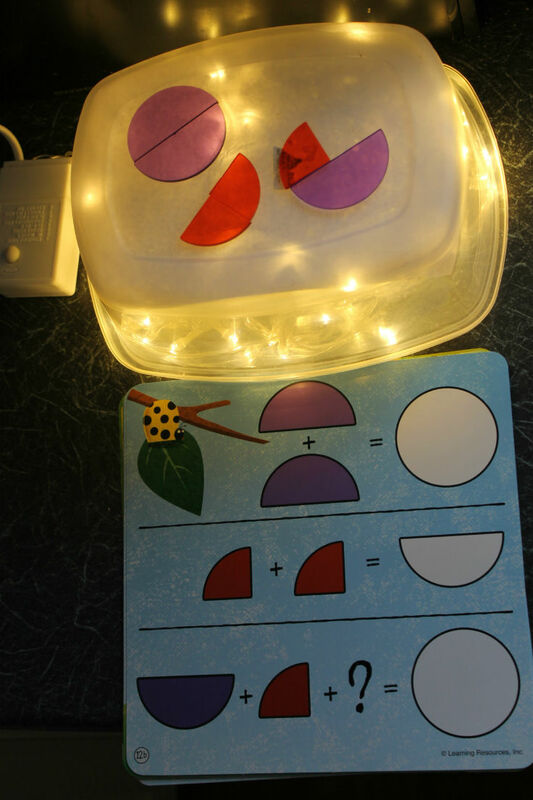 It offers lots of opportunity to start learning about geometry in a fun way, and I love how open ended the set can be by taking the shapes and using them for further activities on the light table. The cards are great with appealing designs and I’d definitely recommend the whole set for families or for schools. A fun way to learn, thank you for the post.